Marketing managers have many duties and responsibilities, including managing and overseeing product, pricing and distribution strategies, digital and public relations activities and more. Marketing job interviews are your opportunity to showcase all of these skills through your experiences. They are also the interviewers opportunity to see how analytical and creative you are. Extremely Well Prepared – Research the company and it’s marketing initiatives thoroughly. Bring along your marketing portfolio and have many well prepared examples of your past experience you can share. Manage Others Effectively – Make sure you prepare examples of answers that show you can manage a group experiencing conflict, lead by example, offer reward and recognition to your team, motivate your team and how you have led a group through a difficult situation. Think Strategically – This is always best shown through examples of previous brand experiences and new ideas you can bring to the company you are applying to. You past experiences will come through in your answers below. You also need to spend some time thinking about what new ideas you can offer that will help the company with its existing strategies. Have Experience in Digital – Take a close look at brands social media presence. Make sure you know which sites they have profiles on, which ones they don’t and what type of content they post etc. This last one is important. Technology has changed the world of marketing dramatically. It’s no longer good enough to make a television commercial and issue a press release. In fact, experience with traditional media is now a much smaller part of a Marketing Managers job description. Today your list of skills needs to include experience with social media, search, video, conversions and analytics and how they all integrate into the overall marketing mix. You won’t always be asked about this type of experience directly. This is why you need to make sure you use lots of examples of your digital experience when you are developing your answers to the behavioral interview questions below. Planning / Organizational Skills and Project Management – Tell us about a marketing project in which you had to coordinate and manage a diverse team of people. Attention to Detail – Have you ever discovered a mistake that was overlooked by everyone else? How did you find this? What was the result? Goal Setting & Achievement – Describe a time where you ensured that others keep focused on short, medium or long term brand objectives and goals? Is there anything you did to keep them focused? How did this turn out? Communication and Presentation Skills – Describe a marketing activity where you have needed to use many different tactics or techniques to overcome objections or obstacles? Problem Solving – What’s the most challenging marketing strategy problem that you’ve encountered? What did you do to come up with a solution? Decision Making – Describe a recent unpopular decision you made. How was it received? How did you handle it? Creativity and Initiative – What’s the best way to inspire creativity in your brand team? Tell me about a time when you’ve done this. Adaptability – How do you ensure that your colleagues or direct reports do not feel too much pressure? Provide an example. Teamwork – Describe a time when you have worked with a brand team that did not get along. What happened? What role did you take? What was the result? Customer or Client Service – How have you ensured that your team or direct reports have managed to keep delivering high levels of customer service in the online and offline environment? Please provide an example. Leadership & Integrity – Give an example of a time where you have needed to manage a brand team in a time of uncertainty, restructuring, redundancies or a brand crisis. As you can see these questions require time and planning to ensure your answers are memorable and set you apart from the other candidates. 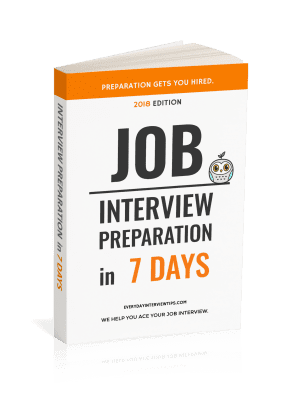 make sure you also spend some time preparing for the background interview questions you will be asked. Want to ace your marketing job interview? 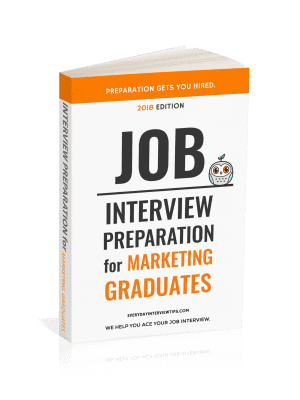 Take a look at our Job Interview Preparation Guide specifically prepared for Marketing Graduates.